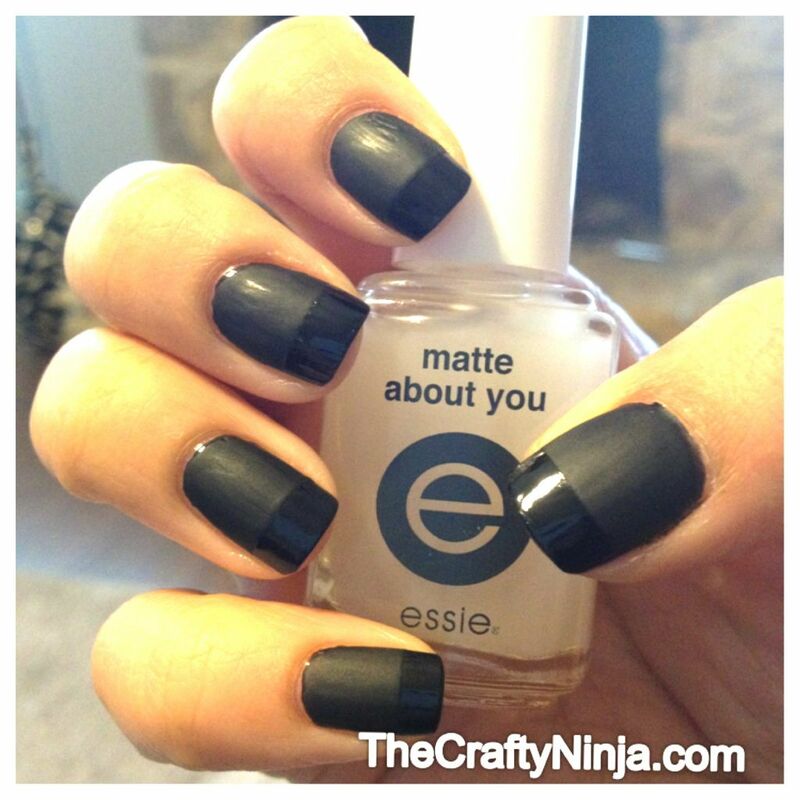 I have been looking for matte nail polish everywhere and finally I found a product that makes your nail polished matte: Essie Matte About You- purchased HERE. Here is my tutorial on how I created my matte and glossy french manicure nails using scotch tape. First I painted all my nails with a clear base coat, and then with Rimmel Black Satin. I love Rimmel nail polishes because it has a wide brush, which creates a smooth professional look. 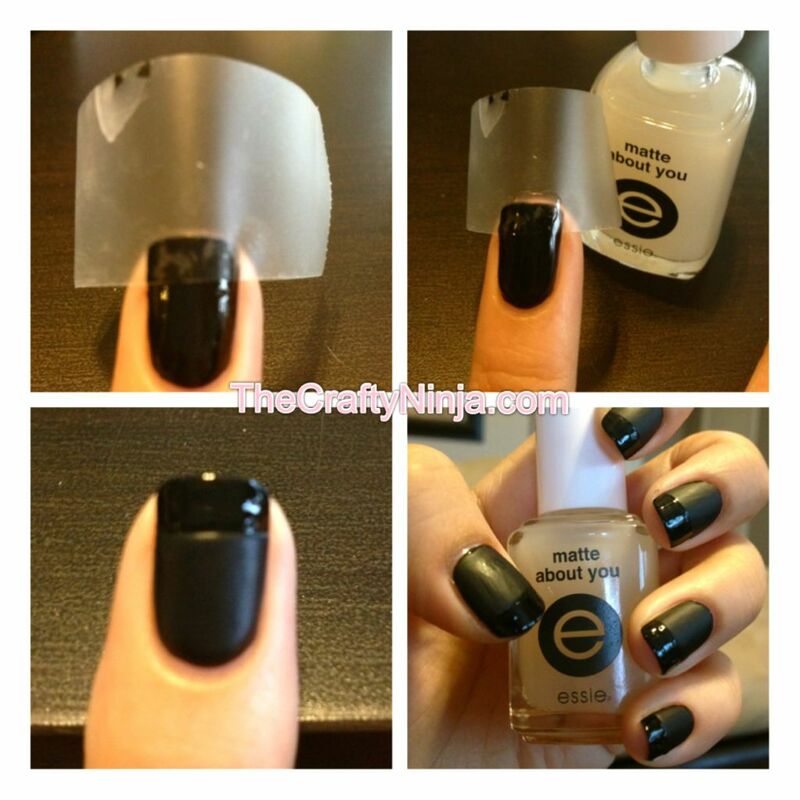 Next when the nail polish is completely dry add a piece of tape going horizontally. This will block out any area from becoming matte and creates the glossy french manicure tip. Be sure the nail is dry or the tape will chip the nail polish, and also be sure to rub the tape down so that no nail polish seeps through. Work one finger nail at a time when applying tape. Then apply Essie Matte About You all over the nail. Carefully peel off the tape and let dry. I did not apply a clear top coat cause I feared it would get rid of the matte finish. I love the matte and glossy look to my french manicured nails. I got to try that.